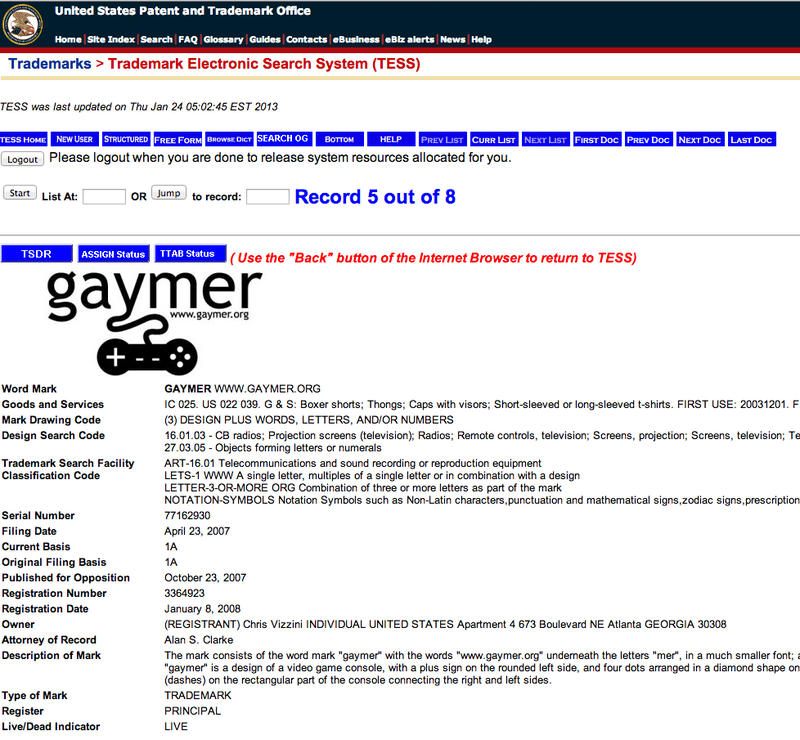 Chris Vizzini registered the term "Gaymer" as a trademark, then sent a cease-and-decist letter to Reddit over /r/gaymers, the section of the site dedicated to gay gamers and their interests. The righteous backlash sees the targets teaming up with the Electronic Frontier Foundation to cancel the trademark. The term has been in use since the mid-1990s, adds Ars Technica's Joe Mullin; Vizzini did not launch his so-named blog until 2005.